Somewhere between Bazil Coetzee's childhood penny-whistling and Abdullah Ibrahim's highbrow intellectual jazz, a new sound was born. "From a young boy experimenting with the penny whistle his meeting with [Abdullah] Ibrahim, at the time known as Dollar Brand, led to the start of a life in music that took him to various parts of the world." "[Robbie] Jansen is self-taught. His work with Dollar Brand and Basil Coetzee in the 1970s introduced him to jazz audiences in many countries. He is now a leading figure in Cape jazz." "I [Abdullah Ibrahim] used to use very eloquent language. Then I realised that hardly anyone understood what I said. It was only when I met Basil Coetzee (tenor sax), Robbie Jansen (alto sax), Paul Michaels (bass) and Monty Weber (drums) that I finally found jazz musicians prepared to play traditionally based music - and that's how Mannenberg finally got through." 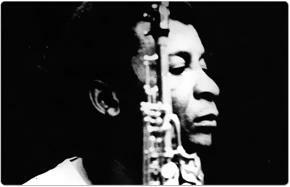 "[Basil] Coetzee toured and recorded extensively with Brand [Abdullah Ibrahim]. Together with Robbie Jansen they created the unique brass sound of the group Pacific Express, inspiring younger Cape jazz musicians in Cape Town."